Long ski runs and powder? To any skier this sounds like heaven. Where does one find such a thing? You would think Canada, Europe or North America, right? While northern Japanese resorts have definitely got the powder part of the equation well-covered, it turns out heading a little further south to the main island of Honshu yields some great vertical! If a perfect blend of prime Japanese powder snow and massive ski runs sounds right up your alley, book your next flight to Japan’s main island Honshu, and from there, make your way to Myoko Kogen in the heart of Japan’s of Jōshin’etsu-kōgen National Park. 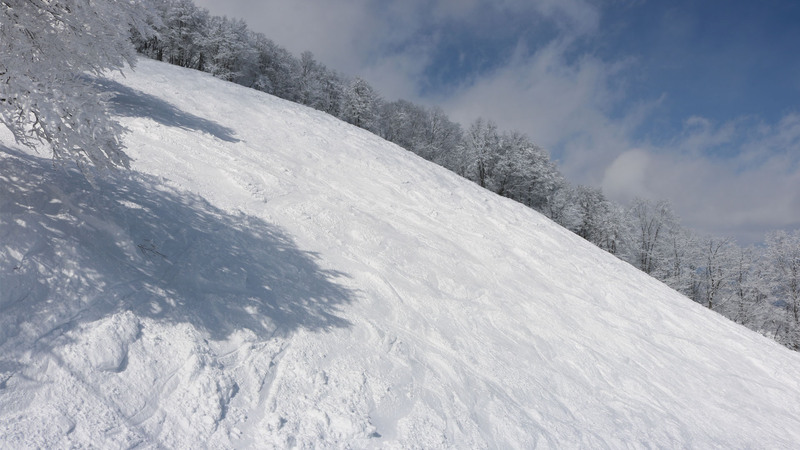 Myoko Kogen’s ski fields are some of the largest ski areas in Japan and were established in the 30’s as Japan’s first international mountain resort, which makes Myoko one of the oldest established ski areas in the world. It’s not surprising that Myoko Kogen is a traditional mountain retreat for Japan’s imperial family. 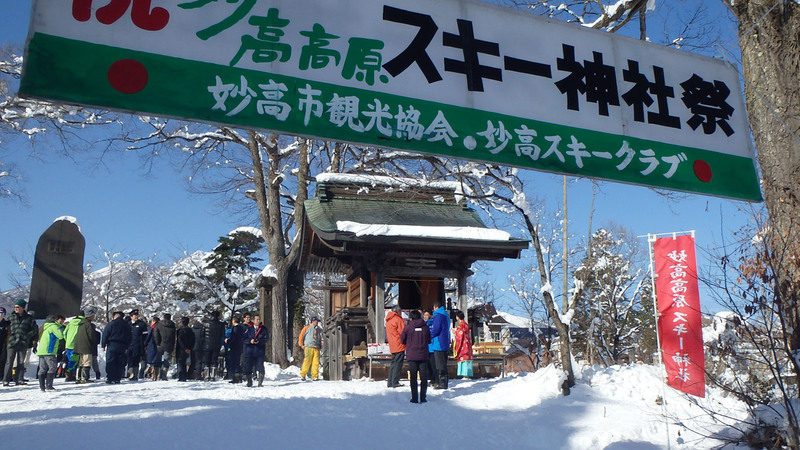 As testimony to the history of Myoko Kogen, you can find a Skiing shrine (Ski Jinja); a dedication to the protection of skiers in Myoko. Nowadays with a fast, efficient lift and gondola system, boasting 41 lifts, Myoko Kogen is a large-scale resort with great snow, terrain, and numerous ski runs catering for beginner through to advanced level riders. 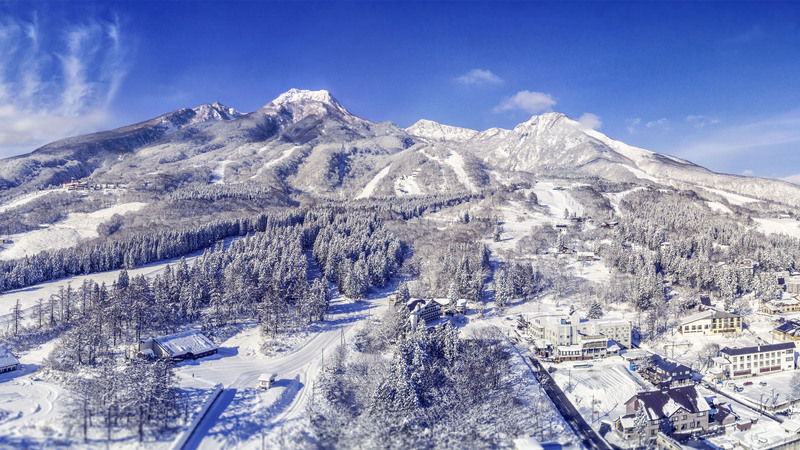 Myoko Kogen is composed of a 9 inter-linked resorts – the largest four: Suginohara, Ikenotaira, Akakura Onsen, and Akakura Kanko can be accessed on the Myoko Kogen Big 4 lift ticket. Myoko Kogen is also in close proximity to many other resorts such as Nozawa Onsen, Hakuba and a number of smaller scale locations, meaning there’s plenty of terrain to explore in the region! Located 3.5 hours north west of Tokyo, getting to Myoko is very straightforward; take the scenic Japanese bullet train ‘Shinkansen‘ to Nagano. Or if you’re flying into Narita, take the Narita-to-Myoko Kogen snow shuttle, straight to your accommodation property’s door. After a good night’s rest, tucking into breakfast and picking up some onigiri from the local convenience store, make way to Myoko’s Suginohara ski resort. Not only does Myoko Kogen boast Japan’s longest ski run, Myoko also possesses Japans steepest ski run, over at Akakura Onsen Ski Resort. At around a 38 degree angle it is also known as ‘The Wall’. Now that’s what you call getting steep and deep! 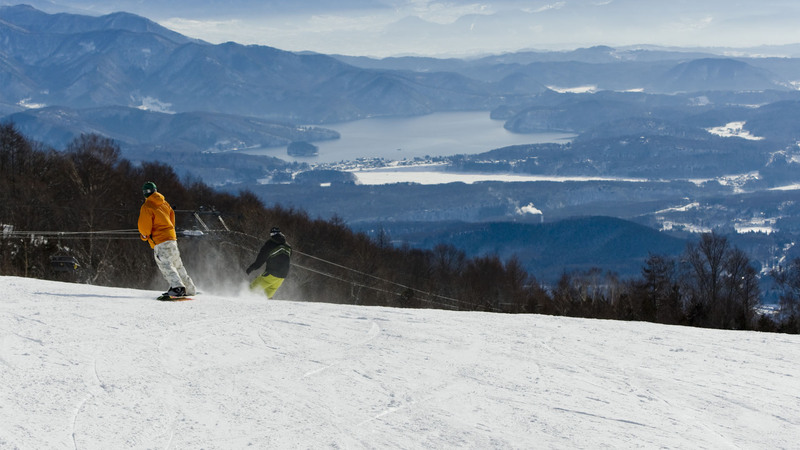 You’ll literally be skiing for days when you come to Myoko Kogen!